The tertiary education system has experienced fast-paced internationalization during recent decades. Between 2000 and 2013, UNESCO statistics indicate that the number of international students rose from 2.0 million to 4.1 million worldwide. The UK has become one of the largest recipient countries of foreign students. In 2016, Britain hosted more than 400,000 international students, which amounts to 18% of the student population in the country. With this trend, a scientific and politic debate emerged on the benefits but also the costs of a diverse student body: Advocates of internationalization argue that both native and foreign students benefit from diversity, although critics raise concerns about potential negative spill-overs due to a deterioration of the learning environment, which may even result in native college flight. Empirical evidence pointing to small ambiguous effects of increasing numbers of foreign students is scarce and mostly restricted to primary and secondary education. A new IZA discussion paper by Arnaud Chevalier, Ingo Isphording and Elena Lisauskaite adds to the understanding of how the ethnic composition of small-scale learning groups can affect student performance and choices. Based on the administrative records of economics students at a university in the London metropolitan area, the researchers make use of a “natural experiment”: Students in the economics program are allocated as-good-as-randomly to small teaching groups. Hence, whether a student meets a large and linguistically diverse group of non-English-speaking students or a homogeneous group is purely due to chance. This feature enables the researchers to estimate the causal effect of being assigned to a linguistically diverse learning environment. Contrary to commonly held beliefs about negative spill-overs from foreign students, the results show that the performance of English-speaking students is unaffected by the share of non-English-speaking students and the linguistic diversity of a classroom. More importantly, for a given share of non-native speakers in the classroom, increased linguistic diversity improves the academic performance of non-English-speaking students, especially for low-achieving students. This result appears to be driven by changed patterns of classroom interactions across ethnicities. 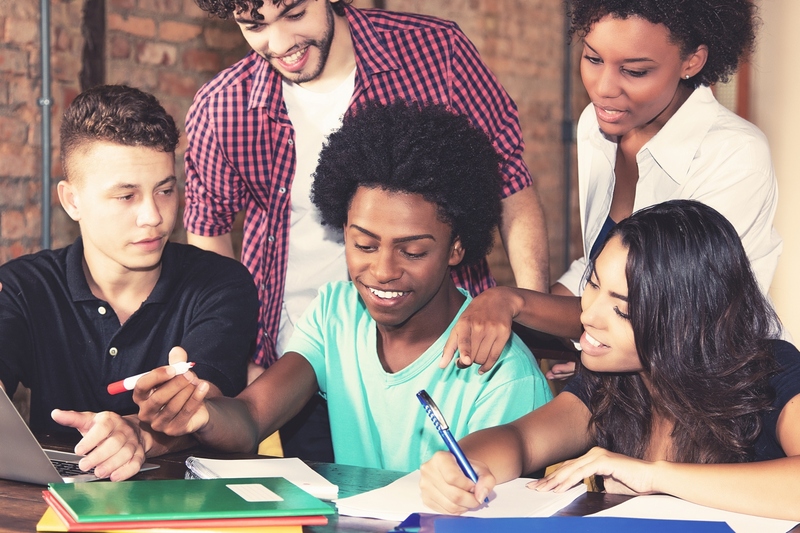 Asked about their experiences, non-English-speaking students revealed they were much more likely to interact with English-speaking students when they were assigned to a more diverse classroom. These immediate effects of classroom compositions have longer-run consequences for academic choices of students. When exposed to higher shares of non-English-speaking students in their early study seminars, non-English-speaking students choose more numerical classes and courses that are generally more popular among non-English-speaking students. But this effect is mediated when the non-English-speaking group is more diverse. Even after graduation, the effects seem to influence migration decisions of students. Should colleges share the burden of student loan debt?